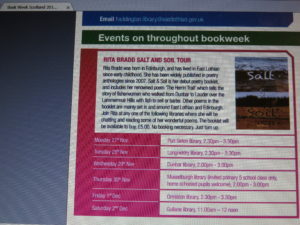 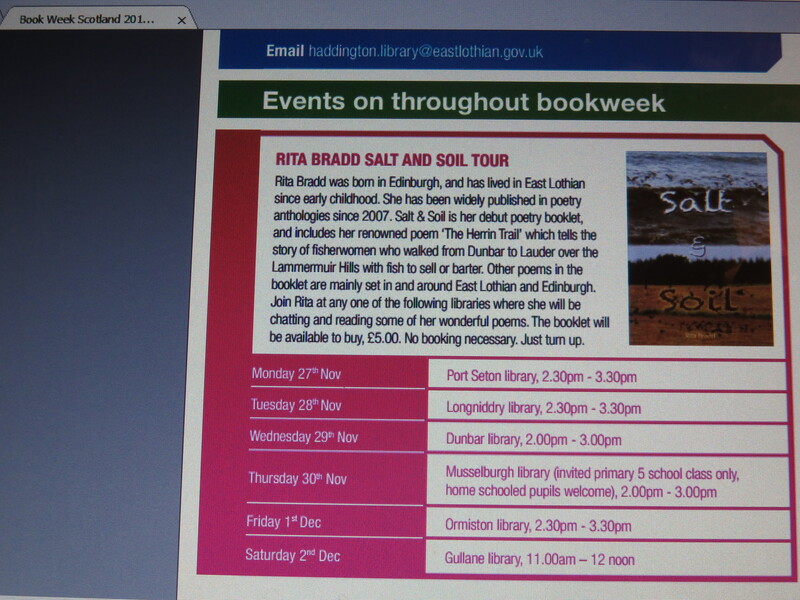 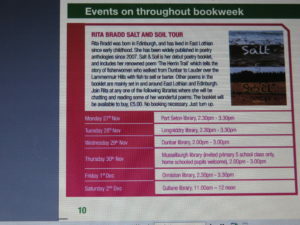 I am very grateful to East Lothian Libraries Service for setting up a ‘Salt & Soil’ Book Tour during Book Week Scotland, 27 November – 3 December. 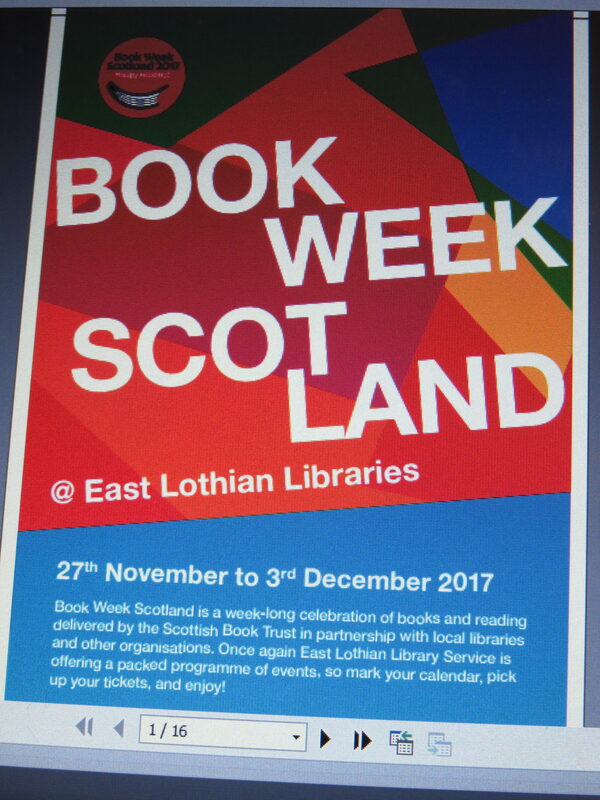 During the week I shall be visiting several libraries who put in a request for a visit following an email communication from the Service. 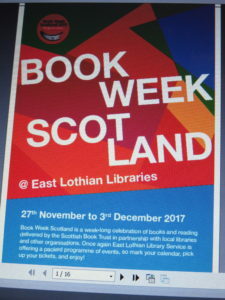 A special request came from Musselburgh Library for a talk on my voyage with clipper ship City of Adelaide for a group of P5 pupils. 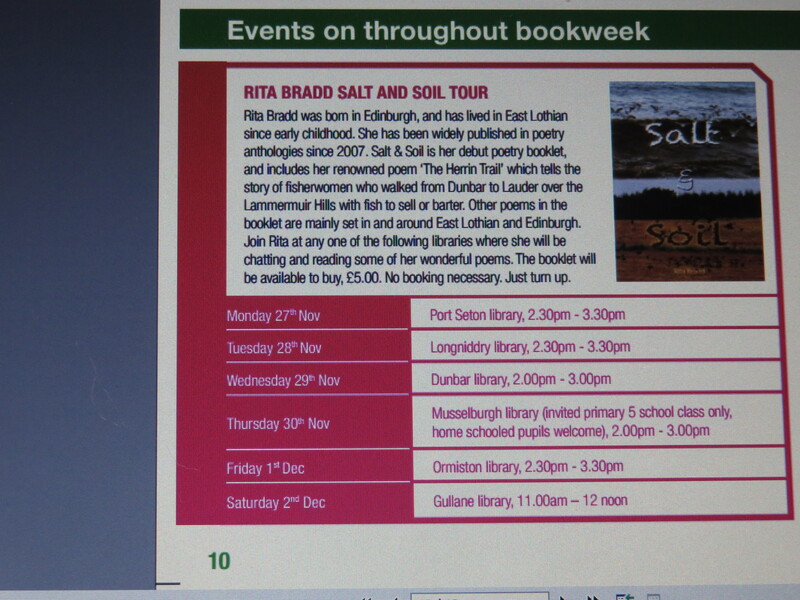 I am so looking forward to giving them a presentation with images from the voyage.